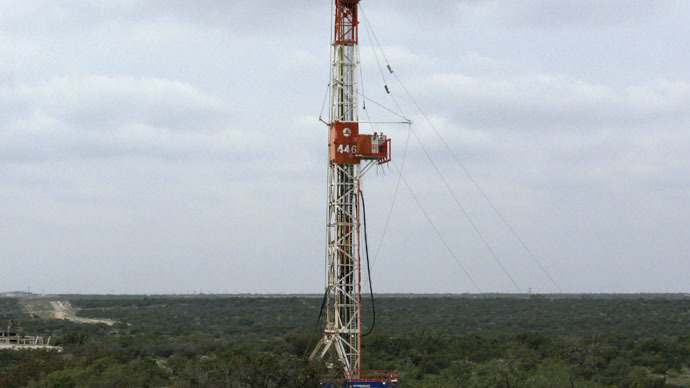 A new Texas law signed by Republican Governor Greg Abbott prohibits cities and towns from imposing local ordinances to prevent fracking and other potentially environmentally harmful oil and natural gas activities. In debating the law, Texas lawmakers emphasized the state’s successful development of oil and gas for more than 100 years. The bill received a two-thirds majority vote in the Texas House and Senate. The law preempts municipal authorities from regulating oil and gas operations “within its boundaries or extraterritorial jurisdiction.” Local authorities can only pass ordinances and other measures to “regulate only surface activity” in ways that are “commercially reasonable” to oil and gas operations. “HB 40 does a profound job of helping to protect private property rights here in the State of Texas, ensuring those who own their own property will not have the heavy hand of local regulation deprive them of their rights. This law ensures that Texas avoids a patchwork quilt of regulations that differ from region to region, differ from county to county or city to city,” said Governor Abbott in a statement. “[It] strikes a meaningful and correct balance between local control and preserving the state’s authority to ensure that regulations are even-handed and do not hamper job creation." Texas lawmakers had introduced 11 bills to put limits on local control after 60 municipalities decided to restrict drilling or fracking in some way. The city of Denton outlawed fracking last fall, but was sued by the Texas General Land Office and Texas Oil and Gas Association after passing the ban. Denton is situated over the Barnett Shale, considered one of the largest reserves of natural gas in the US. “It had gotten to the point where various municipalities have been writing extremely detailed and onerous ordinances, making it difficult for companies to operate,” Ed Ireland, head of the Barnett Shale Energy Education Council, told the Associated Press. The law does include exemptions for Forth Worth and Dallas, both of which passed setback ordinances that push surface drilling away from residential and commercial areas. Dallas, specifically, doesn’t permit drilling closer than within 1,500 feet of homes, schools or churches. In Fort Worth, the distance is 600 feet. The move comes as the state is being slammed by a slump in oil prices which has led to job losses. Nationwide energy production has fallen 3.5 percent and Texas alone lost about 25,000 jobs in March, according to federal data. Legal fights are anticipated as local governments review the implications of the new state law. “The bill guts 100 years of traditional municipal authority to regulate oil and gas operations,” A. Scott Anderson, a senior policy director for the Environmental Defense Fund, told the WSJ.